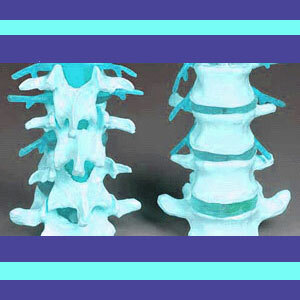 The lumbar spinal discs are the first to wear out in the typical human spine and the most apt to herniate. However, there are many dangerous myths circulating about these important structures that defy the facts of their normal lifecycle. The lumbar intervertebral discs are certainly the most demonized tissues in the human backbone, being blamed for causing more pain complaints than any other tissues. Unfortunately, this is an inaccurate depiction of their true characteristics. The lumbar intervertebral discs are entirely misunderstood by most patients, as well as by many doctors. These tissues are the leading target for surgical intervention, as well as long-term conservative therapy. There are 3 distinct processes involved in these structures that are thought to be causative for pain. If you ask most lower back pain patients what they think of the discs in the lumbar spine, they would reply simply: “I hate them”. This background essay will provide a scientifically-accurate and objective look at the lumbar intervertebral discs. 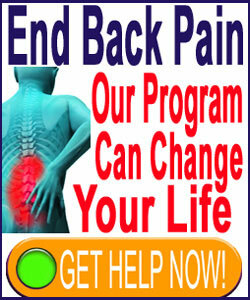 We will provide factual evidence of their typical life cycle and highlight when they are and are not likely to be the actual source of lower back pain. First, the discs separate the spinal bones and provide movement from one vertebral level to the next. This movement is facilitated by the discs’ soft, moisture-rich construction that allows mobility of each vertebral level. Next, the spinal discs are act cushions in between the vertebral bones, preventing painful interactions between skeletal surfaces and protecting the bones against undue wear and tear. Similarly, the spinal discs also help to cushion the entire spine, absorbing and distributing shock that would otherwise prove injurious to the human anatomy. Finally, the spinal discs are also responsible for facilitating the various front-to-back curvatures in the spine to further reduce stresses and impacts to the backbone. Overall, the lumbar discs create the diversity of functionality that all humans enjoy and would not be capable of performing if the spine were simply a fused piece of bone. The lumbar intervertebral discs do not contain nerves and they do not contain internal blood supply or vessels. Instead, the discs are innervated and supplied with nutrients via nerves and tiny circulatory vessels in the cartilaginous endplates which attach discs firmly to the vertebrae above and below. Disc nuclei are composed mostly of water and organic gel. Meanwhile, the outer wall of the structure is made of a multilayered woven design of tough fibrocartilage. The outer disc wall maintains its shape, while the nucleus provides the flexibility and shock absorbing qualities which are so important to the backbone. As the lumbar spinal discs age and wear due to the tremendous movement and stresses endured by the lower back, the outer wall, called the annulus fibrosus, begins to break down structurally. At the same time, the interior of the disc, called the nucleus pulposus, begins to dehydrate and shrink. These processes are completely normal and part of the overall spinal deterioration that affects every human, beginning in the third decade of life in most people. Discs will usually desiccate to varying degrees, causing them to lose mass and protective qualities. This shrinkage is one of the major instigators of the spinal osteoarthritis process in the backbone. Meanwhile, the discs in the lumbar region, and especially those at L4/L5 and L5/S1, are disposed towards bulging, herniation and rupture in many people. Nerve compression can affect the spinal cord or spinal nerves, individually or en masse, within the central canal or within the foraminal spaces. In the lumbar spine, the spinal cord ends between L1 and L2, making nerve root compression the usual mechanism of action for the first symptomatic scenario. Central herniations have a tendency to compress single or multiple roots within the central canal space, while paracentral, foraminal and extraforaminal herniations tend to compress one singular unilateral nerve root branch within a foraminal opening. Nerve irritation, typically diagnosed as chemical radiculitis, can affect one or more spinal nerve roots within the central or foraminal canals. In this circumstance, the annulus of the disc is damaged and leaks irritating proteins unto sensitive nerve tissues, potentially eliciting symptoms. An additional mechanism of pain is theorized to exist in some patients, where the tiny nerves that innervate the disc endplate are deemed to be the source of localized minor pain. This condition is called discogenic pain and remains a controversial verdict in the diagnostic arena.